Apple cide vinegar is being promoted as a wonder health supplement. To what extent is it right to dub it as a health wonder? Well, according to a number of studies, this type of vinegar made from fermented apples does work wonders for health. But remember, most of these studies have been conducted on rats. Nevertheless I decided to research about the apple cider vinegar benefits after I heard some of my relatives using it as a remedy for cholesterol and heart problems. Indeed I was quite surprised about it when I heard about the benefits for the first time. But I must be clear here that they do not take apple cider vinegar alone; rather, blend it with garlic, ginger, and honey and take it in diluted form. We will talk about the remedy later. Let’s see what other benefits of apple cide vinegar are. The best thing about ACV is that it hasn’t yet been associated with any side effects! Wahooooo!! Recently, the Institute of Food Technologists (IFT) published a report in the Journal of Food Science on health benefits of certain types of vinegar, including ACV. Surprisingly, apple cide vinegar comprises more than thirty essential nutrients, several enzymes, half a dozen vitamins and minerals and crucial amino acids. Besides, it has a good amount of pectin for a healthy heart. Looking for some relief for those stomach cramps? Take apple cider vinegar diluted in water. and honey. If you are suffering from diarrhea and a bacterial infection is the root cause of your problem, ACV will provide relief, thanks to its antibiotic properties. Moreover, it is known to contain pectin, which helps soothe intestinal spasms. Add 1 tablespoon of ACV to drinking water to get rid of stomach problems. With apple cide vinegar in your kitchen, you never have to use those sunscreens again! Yes, this is no rhetoric. ACV benefits skin and can be used to effectively cure sunburns. Add a few drops of ACV to water and enjoy your bath. It will not only have a relaxing impact on your body, but also relieve you from sunburns. I have researched about it, but skeptical about using ACV topically. Has anybody done so? 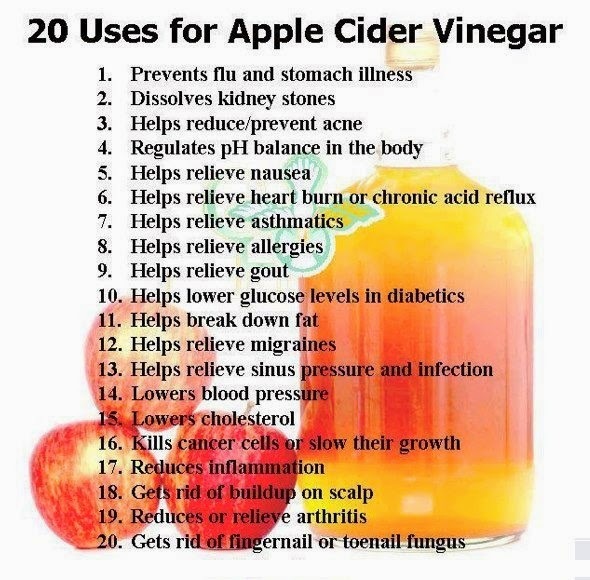 Add a few teaspoon of ACV to your drinking water and drink it every morning. It will work wonders on your weight and the noticeable results will be apparent in a few weeks. This is something that I have been doing for quite some time now. Next time you feel like going to a dentist for teeth whitening, think again! ACV benefits teeth color – removing the yellowish stains, killing bacteria and germs, thus making the teeth white and sparkling. Gone are the days when you had to splurge dollars on buying expensive shampoos and hair treatment packages. With ACV, you can have a wonderful aid for your hair growth. Apple cide vinegar benefits hair health, making hair shiny and strengthening hair follicles. Apply ACV right after shampooing, and after two minutes, rinse it off to treat yourself with beautiful hair. Boost your hair growth and add volume to your hair with apple cide vinegar. A research report in pacificcollege.edu suggests diluting 1/3 cup of ACV in 4 cups of water to condition/shampoo once every month. As a natural astringent, ACV can be used to treat severe pimple problems and acne breakouts by eliminating toxins and cleansing the skin. ACV restores the pH level in the skin, which helps in treating acne breakouts and adding to your skin luster. What’s more, it can help clean up warts. If you soak a cotton ball in ACV and apply it to the wart before going to bed, you can wake up with amazing results in the morning! I will still refrain from applying it directly on face. Better still to dilute and apply. ACV encourages healthy gut flora and works similar to probiotics, which are friendly bacteria within the body. It also helps acid reflux problems and offers an excellent natural remedy to heartburn problems. Being rich in acetic acid, apple cider vinegar, taken before or with meals, might help in improving the body's ability to digest essential minerals in foods. AC Vinegar benefits in digestion by inactivating some digestive enzymes that break carbohydrates into sugar. As a result, this slows the absorption of sugar in the bloodstream. Slowed absorption of sugar allows the insulin-resistant body ample time to source sugar from the blood, preventing any spike in blood sugar levels. According to a 2004 study published in the Diabetes Care, a publication of the American Diabetes Association, ACV remedy for diabetes. It holds great promise for people with diabetes, as it increases insulin sensitivity in insulin-resistant people. Vinegar may prove extremely useful to women, who lack adequate calcium in their bodies. Of course you can derive dietary calcium from dairy products, including milk. However, some women suffer from lactose intolerance, which makes it hard to digest the sugar in milk, thus suffer uncomfortable gastrointestinal symptoms, including diarrhea, cramping, on consumption of dairy products. ACV comes as a great alternative to dietary calcium, and helps absorption of more valuable calcium. ACV is rich in acetic acid, which helps in lowering blood pressure. A 2001 study conducted on lab animals, and published in Bioscience, Biotechnology, and Biochemistry, found that acetic acid helped lower blood pressure in rats. Thus it is being seen as quite beneficial for humans. Limited research shows ACV benefits for high blood pressure. A 2007 study published in the Journal of Nutrition stated that ACV consists of an antioxidant quercetin, which could help lower high blood pressure. Over the course of the study, participants that were given ACV dose regularly for a month experienced a reduction in bp readings. There is too much hue and cry over apple cider vinegar benefits for high cholesterol and heart blockages and other cardiovascular risks. According to a 2006 study, published in the British Journal of Nutrition, lab rats fed acetic acid reported significant drop in the levels of total cholesterol and triglyceride. The theory behind it is that ACV comprises a good amount of pectin, which is soluble fiber that binds to cholesterol and then helps in removing it from the body. Mix apple cide vinegar with garlic, ginger, and lemon juices and honey. Taken daily, one-two tablespoon of this concoction helps in cardiovascular disorders, heart disease, blockages, high blood pressure, weight loss, cancer, asthma, and muscular problems. ACV for cancer? Well, i is known to balance pH levels in the body. The alkaline environment in the body is not conducive for the growth of several ailments, such as cancer. On the contrary, if your body has high acid levels, there is a higher risk of infection, which also causes low energy. So, choose apple cider vinegar to balance your pH levels! Use apple vinegar as an energy booster. Use ACV as an energy drink - ever since I started using apple cider, I haven't felt lethargic or fatigued despite working constantly for 15 hours a day! Use ACV when you feel the first signs of throat infection - my experience says that whenever I feel soreness in my throat, I take 1 tsp of ACV with lukewarm water and 1/2 tsp of honey. My symptoms just go away. Also, drinking ACV regularly might burn your throat or introduce bacteria in your body. The best way to use it is in the form of concoction blended with honey, which will reduce its soar properties. Also, apple cide vinegar might interact with certain medications, and cause further problems. While apple cide vinegar benefits are still under scrutiny and more research is under way, it is important to consult your physician and understand your physical health condition before going ahead with this remedy. ACV must be used with caution by people with low bone density, osteoporosis, or low potassium levels. It may degrade bones for such people. For people with kidney problems, ACV could lower potassium levels further and may not be safe. But for others, it does not have the same side effects. We cannot generalize things for everyone - what works for one may not be as effective for the other. 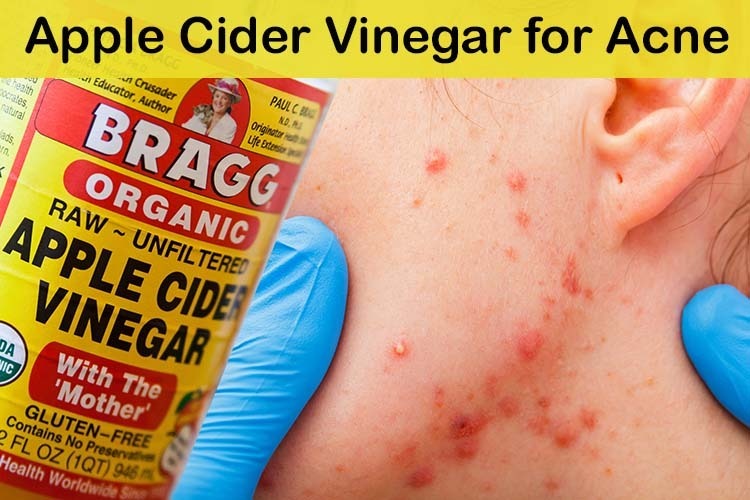 Caution is urged smile emoticon But in my case, ACV has been a wonder remedy. Please buy unpasteurized, raw, unfiltered, made from apple must Apple Cider Vinegar, which has mother tincture. American Garden & Heinz are not the best options. I have been using American Garden for over 6 months, though it has benefited me significantly, it still isn't better than those with mother. Always look for ACV with mother (Braggs mentions it has mother). Braggs is an expensive product. So you may look for other brands that are unpasteurized, unfiltered, and all-natural. Drinking a teaspoon of ACV in a couple oz. water before bed helps prevent those horrible nigh-time leg cramps. On the off chance that you need to take in more about this outstanding wellbeing sustenance - read on!